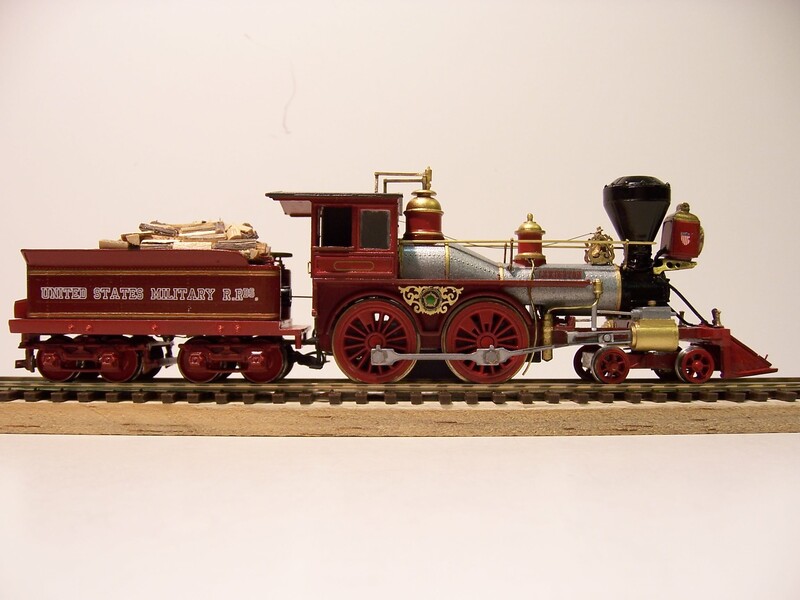 Retail model locomotives for the American Civil War period (1861-1865) are almost non-existent for the HO scale modeler. 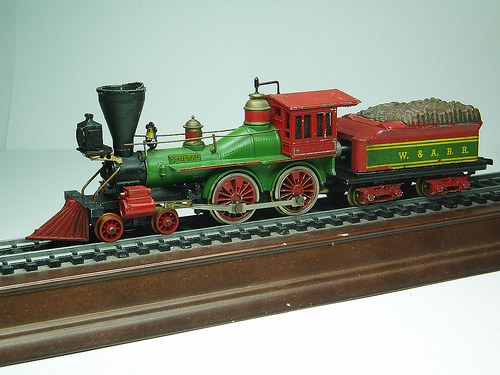 Many modelers purchase the long discontinued General 4-4-0 locomotive produced by Mantua. The General was manufactured virtually unchanged from 1953 until 2001 under both the Mantua and TYCO names. 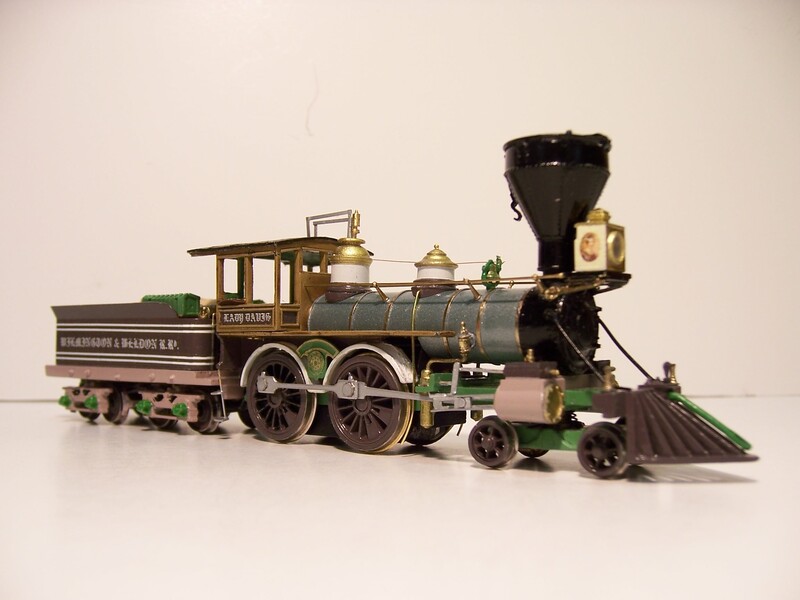 With such a long production run, many used locomotives can be found at any time on E-bay or at swap meets. 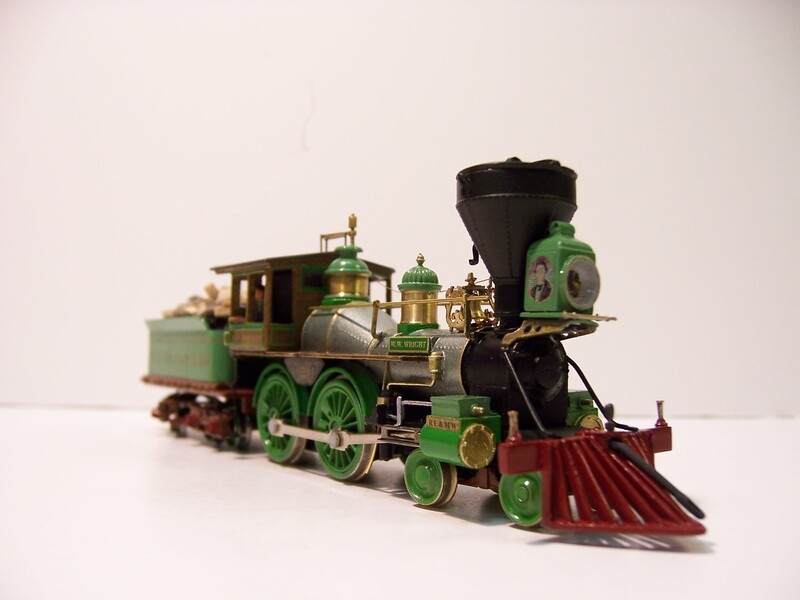 The General was built in December of 1855 in Paterson, New Jersey by Rodgers, Ketchum & Grosvenor Locomotive and Machine Works. 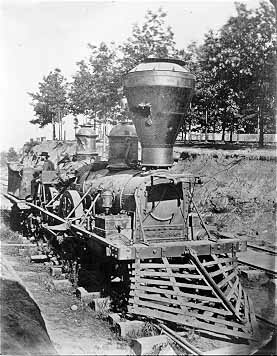 The locomotive was hijacked on April 12, 1862 during the Civil War by Andrews’ Raiders at Big Shanty (now known as the city of Kennesaw) in what was later referred to as the Great Locomotive Chase. The General after the burning of Atlanta. The original smoke box, outside frame and strap iron pilot are clearly visible. Sherman’s burning of Atlanta. The locomotive had to be completely overhauled to put it back in service. Several other upgrades were made over time including changing fuel types from wood to coal to oil. 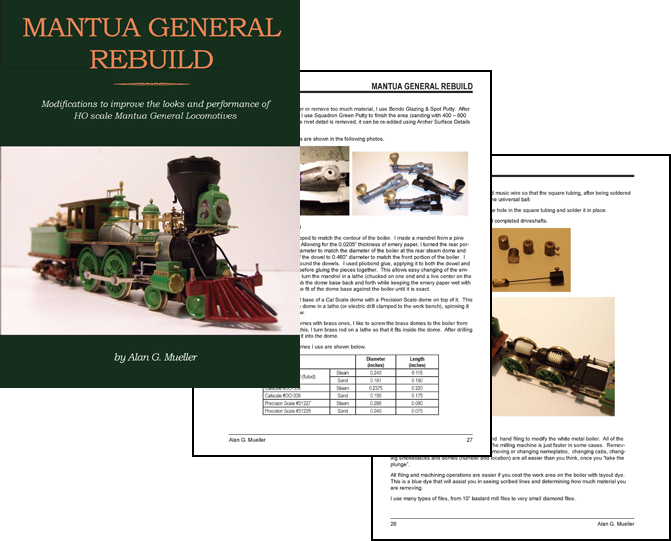 ACW modelers have become accustomed to rebuilding the Mantua General into earlier versions and using it as a basis for other period locomotives. Recently Alan Mueller took it upon himself to not only take the rebuild to a level of near perfection but also document the process and publish a book so other modelers could achieve similar results. 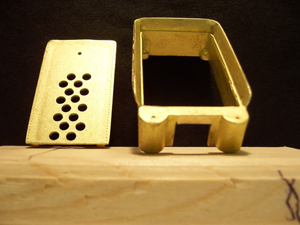 Alan’s book takes the reader step by step through the entire rebuild process. 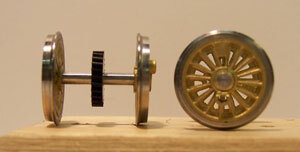 The instructions include information to make either a Union or Confederate locomotive. 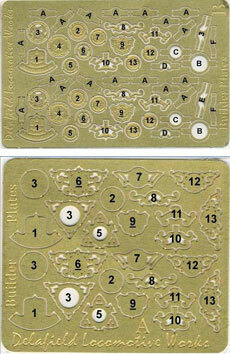 This allows the reader to recreate virtually any locomotive from the period. 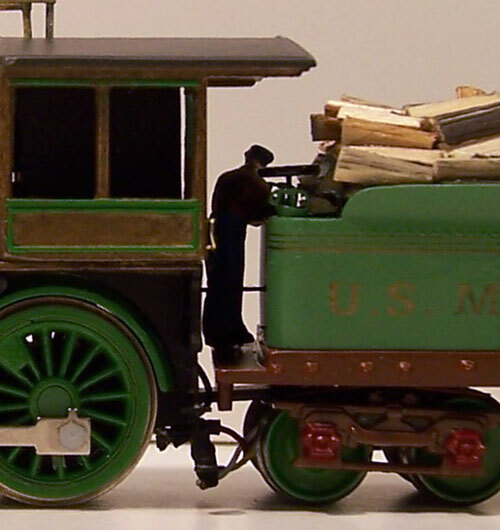 The Mantua General was originally designed with the motor in the tender and a plastic shaft that went from the tender through the locomotive cab to the drive mechanism under the firebox. Alan’s rebuild keeps this arrangement but replaces the old motor and drive shaft assembly with a can motor and thin shaft that becomes virtually invisible to the naked eye. As small as the Mantua General is, Alan has also managed to put DCC and sound into the locomotive. With the new motor in the tender, he has managed to squeeze out enough space for a micro-tsunami and speaker with enclosure. 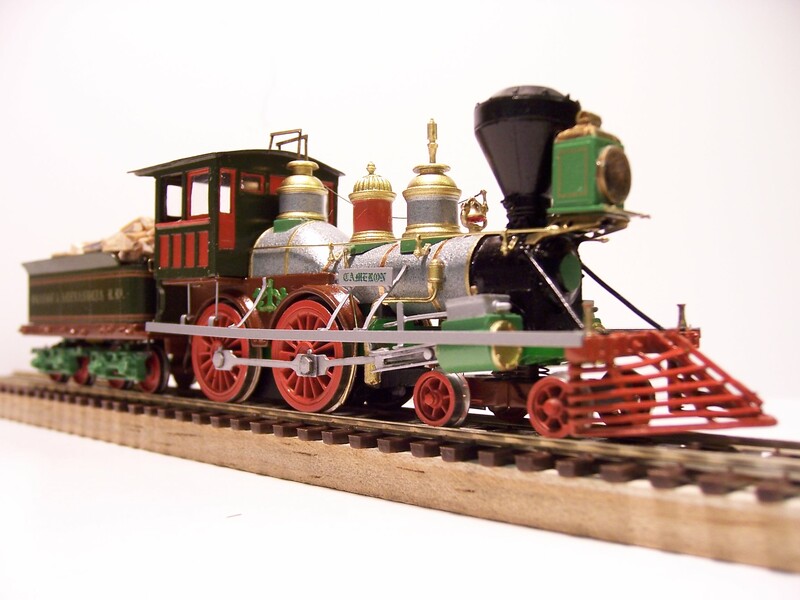 While on a visit to his home, we put one of the locomotives through its paces on his ACW layout. The locomotive ran very smooth at very low speeds and the sound was superb. 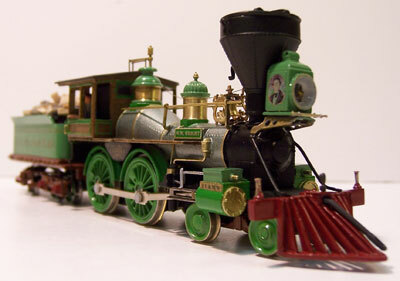 The final finish and detail of these locomotives is excellent. The images presented here are a small portion of Alan’s work. Note that with some extra details and modifications to the boiler, the Mantua General can be made to look like several locomotive types from the period. If you wish to purchase one of Alan’s books or want to contact Alan about the new products being developed, more information is available on the Yahoo Civil War RR Group at http://groups.yahoo.com/group/Civil_War_RRs/. When I last visited Alan, he was working on his ACW layout and was building the base scenery. Recent photos show he is progressing steadily and working at the same level of detail as his locomotives. Hopefully, I will be able to visit again soon and see the progress in person. It is sad news that I must report that Allen Mueller passed away on October 28, 2018. He will be sorely missed! Allen is not able to reply in this forum. 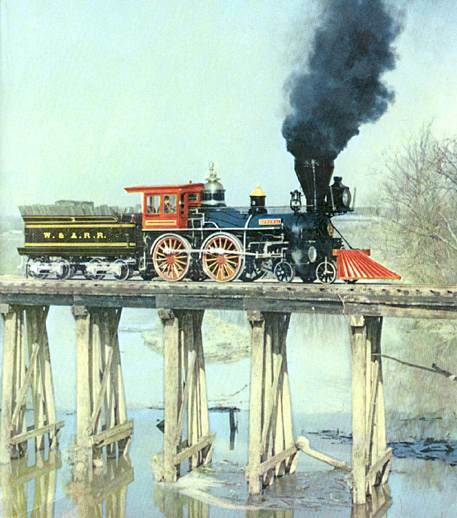 You can reach Allen through the yahoo Civil War Railroad Group at https://groups.yahoo.com/neo/groups/Civil_War_RRs. Nice work . Quality really good and I can see you spend many hours on these . Some of mine are of similar vein , but have used Rivarossi instead . Keep up the good work . O BY THE WAY NICE WORK I SOME I WANT TO RESTORE. Hello Frank, Unfortunately, I do not have that answer. 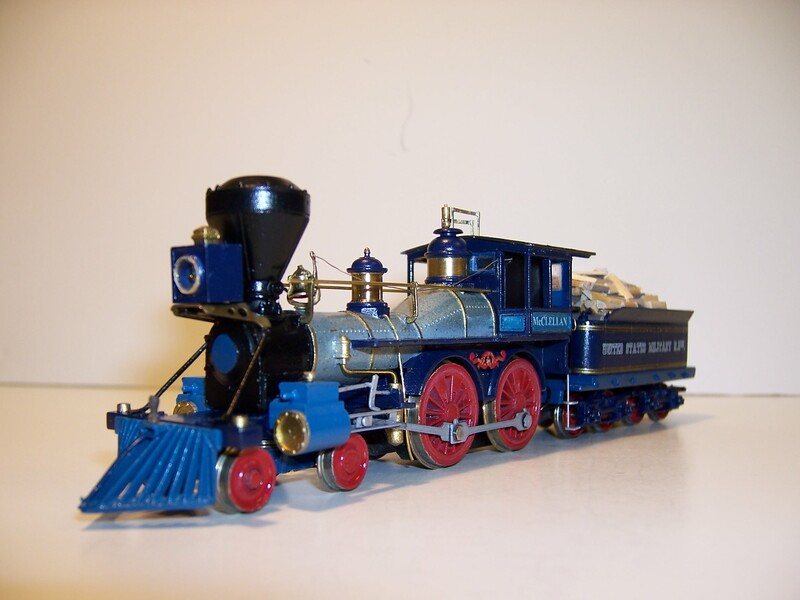 I suggest you join the Yahoo Civil War Railroad group and ask there.